The stock market crash of October 1929 led directly to the Great Depression in Europe. When stocks plummeted on the New York Stock Exchange, the world noticed immediately. Although financial leaders in England, as in the United States, vastly underestimated the extent of the crisis that would ensue, it soon became clear that the world's economies were more interconnected then ever. The effects of the disruption to the global system of financing, trade, and production and the subsequent meltdown of the American economy were soon felt throughout Europe. In his memoirs, President Herbert Hoover tried to explain the Depression's impact on the United States by blaming the aftermath of the European war a decade earlier and the financial crisis that beset European banks in 1931. While historians still debate the precise causes of the Depression, most now agree that the economic crisis began in the United States and then moved to Europe and the rest of the world. According to Dietmar Rothermund's study of the global impact of the economic crisis, "all major factors contributing to the depression can be traced back to the United States of America." Both domestically and internationally, however, the crash of '29 built upon, exacerbated, and was compounded by the underlying economic weaknesses of the preceding decade. 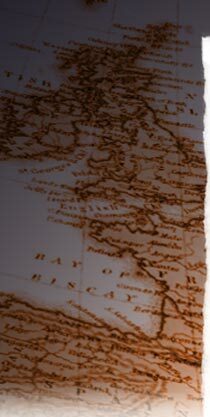 This section will provide necessary background information by exploring the ways in which national economies around the world were intimately connected, how the stock market crash in the United States triggered the European crisis, and how such connections shaped lives, societies, and political systems in Europe and elsewhere. To appreciate the significance of the Depression, one must understand how it impacted social and economic conditions within distinct societies. While European economies during the 1920s experienced unemployment and the subsequent deprivation, hunger, and despair, much remained invisible to the general public. Left-leaning political parties had tried for decades to expose the effects of economic exploitation, yet the political shifts of the 1920s combined to make such conditions less apparent than they had been before the war. Socialist parties, attempting to gain a new respectability, were reluctant to draw attention to the class divide, while Communists remained more interested in staging confrontations than in uncovering the daily lives of the working class. Moreover, to the middle and upper classes, the lives of the poor were either invisible or frightening. The Depression would transform many societies by making visible the unemployment, distress, and despair already there. With the onset of the Depression, both the hopes of peaceful class reconciliation and the willful ignorance of working-class desperation came to an end. Deprivation was evident everywhere, and conflict, rather than compromise, between classes appeared inevitable. In Germany, the Depression struck an already weakened economy barely beginning to recover from the combined effects of wartime destruction and postwar reparations. The Weimar government was deeply in debt, yet it tried to maintain high levels of unemployment benefits to forestall growing dissatisfaction among the lower classes. As unemployment grew, and even before the onset of the Depression, the government resisted pressure to cut payments. Under the terms of the Dawes plan, American banks loaned money to the German government, which used the loans to pay reparations to the French and British governments, which in turn used the money to pay war debts to American banks. The high interest rates sustained by the Dawes plan made Germany an attractive debtor for American banks, and, for several years, considerable money flowed from the American financial sector into Germany. In the words of historian Dietmar Rothermund, the plan was a "precarious solution," since everything depended on the continuous flow of American capital. The German government's debt to the victorious powers shifted towards American bankers, who, under the auspices of the Dawes plan, assumed the debt along with the dangers of default. Already by 1928, American banks had ceased to make loans under the Dawes plan. Germany, however, still had to service its American loans in addition to making reparations payments. The German government's initial response to the crash of '29, and the subsequent withdrawal of American capital by retrenchment, involved cutting public services to preserve solvency. The traumatic experience of extreme inflation in the early 1920s caused the government to respond to the crisis by decreasing, rather than increasing, public expenditure, which in turn worsened the economic conditions. Declining productivity, mass unemployment, and business failures ensued. When the Reichstag obstructed Chancellor Bruning's effort to maintain such a policy, Bruning resorted to the use of emergency powers granted by the President to implement measures so unpopular they earned him the moniker, "Hunger Chancellor." The collapse of German banks in 1931 marked the start of a downward spiral into depression. In 1932, Germany defaulted on its reparations; two years later, Britain and France defaulted on their own war debts, which were owed primarily to the United States. In Britain, significant economic problems persisted throughout the 1920s. The First World War cost Britain many of its positions of relative economic advantage: shipping never recovered from the losses of submarine warfare and the advances of competing nations; foreign investment declined as global capital increasingly moved to the United States; American banks displaced English banks as the main lenders to other European nations; coal production declined in the face of European competition, especially from French-occupied coalfields lost by Germany; and manufacturing suffered from the loss of European and colonial markets. Unemployment in Britain remained high throughout the 1920s, reaching 2 million in 1921 and then remaining at more than a million for the rest of the decade. The government, meanwhile, made financial security its priority. Domestic spending remained low relative to other European countries, as the government allowed private businesses to set their own policies on wages, hours, and conditions. The government remained committed to keeping the British pound on the gold standard, which meant that British exports were sold at inflated prices that made them less competitive with goods from other producers. Major industries, such as coal, steel, and textiles, were protected from foreign competition, which also meant that they had little incentive to update equipment, rationalize production, or diversify products. A growing wave of labor unrest had peaked in the 1926 General Strike, but the limited backing for the radical aims of trade union leadership by the government, big business, and a strong base of middle-class supporters dampened efforts to effect political change through extra-parliamentary measures. The memory of the General Strike would become an important factor in the early years of the Depression, as spreading unemployment and increasing despair led to fears of deepening class conflict and political instability. So-called depressed areas remained particular sources of chronic unemployment, hunger, and disease. In the words of historian Gordon Craig, the British economy "continued to stagnate until it was overwhelmed by the world depression." Unlike Great Britain, France's economic situation improved markedly during the 1920s. Because the fighting of World War I caused so much damage to France's productive capacity, the government was forced to invest heavily in postwar reconstruction. As a result, French steel, coal, and textile production acquired more advanced machinery and adopted more effective techniques, which gave France a competitive advantage over countries that had not been forced to modernize, such as Britain. Postwar political settlements had awarded to France some of Germany's most productive territories, which also stabilized the French economy. At the same time, the French government remained deeply in debt, while continuing to demand excessive reparations payments from Germany. Although the government did gradually implement tax reforms to spread the burden of payments more evenly across society, the value of the French currency remained high as the government adhered to the gold standard, and the growth of international tourism poured additional funds into the French economy. According to Craig, France experienced "years of solid prosperity" in the period from 1926 to 1932. The effects of the Wall Street crash spread across France more gradually. During the first years of the global economic crisis, France was predominantly affected by a decline in international tourism, by decreased demand for French luxury goods, and by the wave of protectionism that cut into all international trade. The contrasting directions pursued by Germany and France led to strikingly different assessments: "Why Germany ‘Totters," on the one hand, and "Why France Keeps Prosperous," on the other. Yet France could not remain invulnerable to the more general European and even global crisis. When conditions did worsen, French society quickly succumbed to the same sense of desperation. The contraction in world trade at the same time the government maintained the high value of the French currency ensured that exports became less competitive in a shrinking world market. The combination in turn caused production decreases and the spread of unemployment. In addition, the French response to the economic crisis was made more difficult by political conflicts between the major parties, which led to a series of short-lived, ineffective governments and, ultimately, the attempted overthrow of the government in February 1934. As indicated above, the governments of France, Britain, and Germany grappled with how to respond to the social and economic crisis brought on by the Great Depression. In each case, the governments faced considerable pressure from demonstrations, protests, and strikes taking place in the streets. In Britain, increasing economic distress led to waves of protests in 1930 and 1931 organized by a group of militant activists. During the 1920s, the combination of economic collapse and political radicalism had culminated in the General Strike of 1926, but divisions among labor leaders and sympathizers and the determination of the conservative government had caused the strike to fail. Yet public memory of the failed attempt persisted into the Depression. Labour Party leaders began to seek influence by working through, rather than against, the established political system. Labor protests still occurred frequently during the Depression, but in more localized ways. During 1930 and 1931, in particular, unemployed workers went on strike, demonstrated in public, and otherwise took direct action to call public attention to their plight. Protests often focused on the so-called Means Test, which the government had instituted in 1931 as a way to limit the amount of unemployment payments made to individuals and families. For working people, the Means Test seemed an intrusive and insensitive way to deal with the chronic and relentless deprivation caused by the economic crisis. The strikes were met forcefully, with police breaking up protests, arresting demonstrators, and charging them with crimes related to the violation of public order. The protests never approached revolution, however, since the actions of both protestors and police defined a realm of legitimate public engagement even in the midst of economic crisis. In Germany, protests during the early 1930s arose out of a more long-term crisis of legitimacy of the Weimar system. In particular, the political extremes — the Communists on the left, and the National Socialist Democratic Workers Party (the Nazis) on the right — were committed to the overthrow of the democratic system by any means, including direct action on the streets. With the spread of unemployment, dissatisfaction with the policies of the Weimar government also intensified. The determination of Bruning's government to control expenses by cutting back welfare and social services alienated the poor and working classes, while his dependence on emergency powers convinced many that democratic politics could not handle the growing crisis. Nationalists played up Germany's vulnerability to the world economic crisis by denouncing, yet again, the terms of the postwar settlement. Germany's continued debt due to reparations provided yet additional grounds for linking the weakness of Germany's international position to the growing economic crisis. It was in this context that a series of strikes and protests occurred across Germany during 1930 and 1931. In contrast to Britain, however, protests became common among radicals on both the extreme left, which included Communists, and on the extreme right, led by the Nazis. The government, meanwhile, appeared both ineffective at controlling the waves of violence and repressive, as it resorted increasingly to the so-called emergency powers. The street protests and the government response combined to undermine even further the legitimacy and viability of Weimar democracy. The crisis of French democracy in February 1934 centered on allegations that the elected government remained ineffective at dealing with the immediate economic crisis. In addition, the French government appeared overall less vigorous and incisive when compared to the neighboring Nazi-led German government. The French government faced sharp criticism and demands for immediate action from both the extreme right and the Communists on the extreme left. On February 6, 1934, thousands of people — most responding to summons by right-wing groups, but also Communist sympathizers willing to use any means to overthrow the government — assembled on the Place de la Concorde and appeared to organize an assault on the Chamber of Deputies. When police used arms against the crowd, twenty-one people were killed and more than a thousand injured. In the words of Gordon Craig, it seemed "as if action on the street was on the point of supplanting rule by law and parliamentary procedure." The Paris protests resulted in the resignation of Prime Minister Daladier, which led to the formation of a broad-based government drawing representatives from a spectrum of political parties. In the case of France, then, street protests served to redefine the basis of democratic legitimacy in the midst of crisis. In addition to direct action on the streets by, in most cases, more extreme political movements, elections became an important measure of the impact of the Depression on Europe. Parties on the extreme left, such as the Communist Party, claimed that the interests of the working class could be served only by revolutionary, and inevitably violent, overthrow of the existing social, political, and economic order. Socialist parties, such as the Labour Party in Britain and the Social Democrats in Germany, argued that working-class interests were better served by working through the political system to promote egalitarian, democratic, and peaceful policies. To the right of the Socialists stood a variety of parties, such as the Conservatives in Britain and the Catholic Center Party in Germany, which argued that middle- and upper-class interests were best served by traditional policies that protected property, maintained order, and promoted changes through the existing economic system. In addition, a new force of political radicalism emerged on the extreme right arguing for stronger governments that took direct action to promote national interests for all classes at the expense of foreign and minority interests. The Nazi Party in Germany was the strongest example of such politics, although similar movements emerged in Britain and France as well. In Britain, Prime Minister Ramsay Macdonald's Labour government responded to the economic crisis caused by the Wall Street crash and capital flight to America by imposing further restrictions on government spending, including threats to cut already meager unemployment payments. When the proposals were rejected by most of the members of Macdonald's own Labour party in the summer of 1931, he responded by forming a new so-called National Government, which included representatives from the three major parties: Conservative, Labour, and Liberal. In the 1931 elections, the new government won a solid victory, with 558 supporters drawn from the three parties against 60 members of an opposition comprised predominantly of Labourites fighting against further cuts in welfare benefits. The election thus appeared as a sign of reassurance in a time of increasing demonstrations and protests in the streets. The National Government seemed to represent a middle ground that strengthened moderate forces of both the left Labour Party and the right Conservatives. Such a position of strength allowed the National Government to implement several unpopular economic policies, including the devaluation of the British pound by abandoning the gold standard. Freeing the currency allowed the government to offer financial assistance to the most distressed areas and provide protection for key industries. But the government never undertook a major recovery effort, like the New Deal in the United States, and unemployment remained high through the end of the decade. In Germany, Bruning's decision to call elections to obtain a mandate for his actions proved a grave miscalculation; the fall 1930 elections returned only a handful of new seats for the parties supporting the Chancellor, while the extremist parties gained the most seats: twenty-three additional representatives for the Communists on the left and ninety-five new seats for the Nazis on the right, making the latter the second-largest party in the German Reichstag, or Parliament. In the election, more than six million Germans voted for the Nazi party. In subsequent elections, Nazi support continued to grow at the expense of moderate parties such as the Social Democrats and the Catholic Center Party. By 1932, the Nazi Party had won more than one-third of the seats in the Reichstag and had become the largest single party within the representative body, with 196 seats compared to 121 seats held by Social Democrats. While Hitler's actual accession to power occurred through a process of manipulation among the leaders and not through direct elections, the growing strength of the Nazi party from 1930 to 1932 illustrates how the effects of the Depression shaped the increasing radicalization of German politics in ways that undermined democratic legitimacy and stability. In France, the Popular Front emerged as a powerful symbol of the collective determination to overcome both economic crisis and social division. The Popular Front was formed in early 1936 by representatives of the Socialist, Liberal, and Communist Parties. The latter's involvement was especially significant, as it marked a dramatic reversal of the Communists' prior determination to promote revolutionary change in any possible way. By 1936, however, the establishment of a Fascist government in Germany and its relentless destruction of the Communist and Socialist Parties there had convinced French Communists and, more importantly, the Soviet leadership that exerted strong influence over European Communists that they needed to support democratic and capitalist governments to fight the rise of right-wing fascism. The program of the Popular Front thus illustrated combined efforts to mediate political divisions while promoting a program in support of government intervention in the economy, the defense of civil liberties, and the protection of social welfare.